Good option for a first time car for your College Graduate | Happenings, Marketing and Technology Advice and Thoughts! As a parent one of the toughest times is when your kids grow up and it comes the time to teach them driving. Universally it seems that parents are the worst driving instructors (My wife and daughter will agree) which is more because parents are stressed when their kids start driving. The next big decision is when you need to give your children a car. there are many times I wish that the public transport was so good in the US that we never ever need to depend always on a car. My favorite go to place to buy cars is the Fitzmall in Gaithersburg, MD and I have bought 3 cars from this dealership and all from Harmeet Suri . The cars that I have bought are a Volkswagen Passat (Used car), A Toyota Sienna Van and a Toyota Camry Hybrid. Over the next few months, once my first born gets a license and feels the need for a car we will be in the market for a car for her. How do you go about choosing a car for your kids? 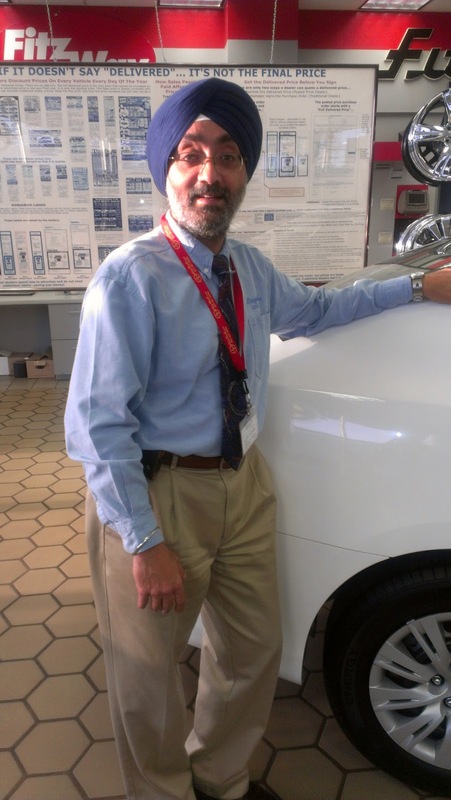 I asked Harmeet Suri who works at Fitzgerlad Auto Mall in Gaithersburg . Most parents want to spend only $6 to $8k and for that you probably get a used car with over 120k miles and no warranties on it. Generally people want to buy time and target ownership for only about 3 years. The better alternative is to think out of the box and lease a car for 3 years. You are targeting an ownership for 3 years because in 3 years they want to change the cars anyway. Remember a leased car comes with full warranty. In my experience a leased car for young graduates is a good ownership experience. There is a safety factor – when you look an older automobile it does not have the safety features that a new leased car has and if you count the cost of ownership of the 3 year lease you may come close to the cost of a used car. I've been looking around South New Jersey for Ford trucks. My younger sister just graduated college and is going to need something to get to interviews and eventually her job. Are there any common things to always check for in a used car to make sure it was properly maintained? The Car fax may sometimes give you service records.